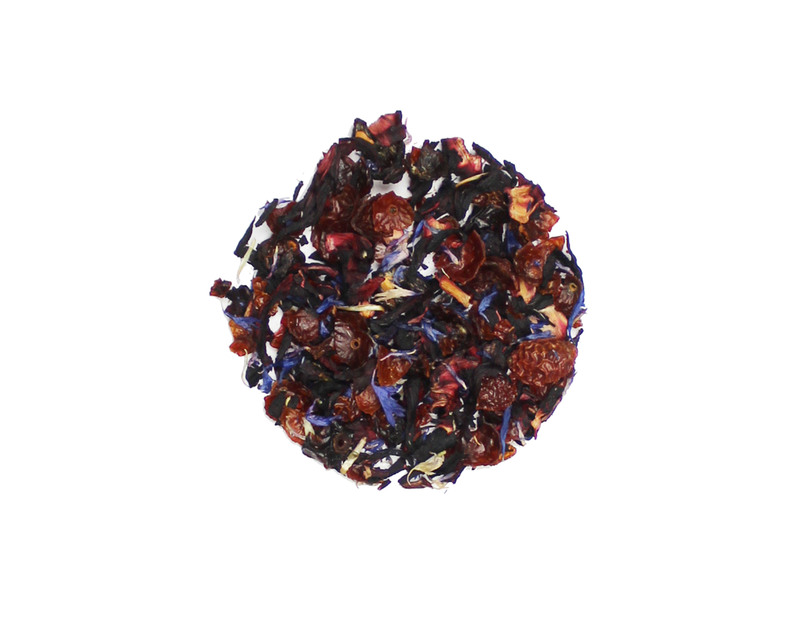 With the combination of hibiscus, rose hips and blue mallow blossoms, this elegant and fun tea helps chase away the spring time allergies. It is the perfect tea when you are going to finish a long day on the porch with company. I combined this tea with milk and it was like drinking a delicious dessert. This tea was a bit too sweet for my taste, but a very pretty color and good if you like fruity tea. This tea has a great combo of fruity + hibiscus. I've had other varieties of bagged hibiscus tea and the flavor is quite strong. Not so with this sweet hisbiscus! The flower doesn't overwhelm the fruit. I really like it! GOOD IF YOU LIKE HIBISCUS! Not bad not bad! a good tea for the hibiscus lover you know! This tea has become one of my favorite teas of all time. It is the right level of sweet and fruity without being overly sweet. If you like fruit herbals teas this is the one for you. I can't wait to get more ! !